Refinancing your student loans is 100% free and can help you pay off loans faster. Make sure you understand what your options are—here are 10 things you need to know about refinancing. J.D. Roth's Money Boss blog has been consistently great lately. This post is a perfect example of frameworks that you can apply to money, and lots of other things. Widen your options to avoid narrow framing. Reality-test your assumptions to avoid confirmation bias. Attain distance before deciding to avoid short-term emotion. Prepare to be wrong to avoid overconfidence. I've shared this post before but it's worth re-reading every now and then. Whenever a business bucks a trend, it's worth digging deeper. You might work in SaaS, media or e-commerce, but there are lessons here worth understanding. 4. How much vacation does Buffer take? 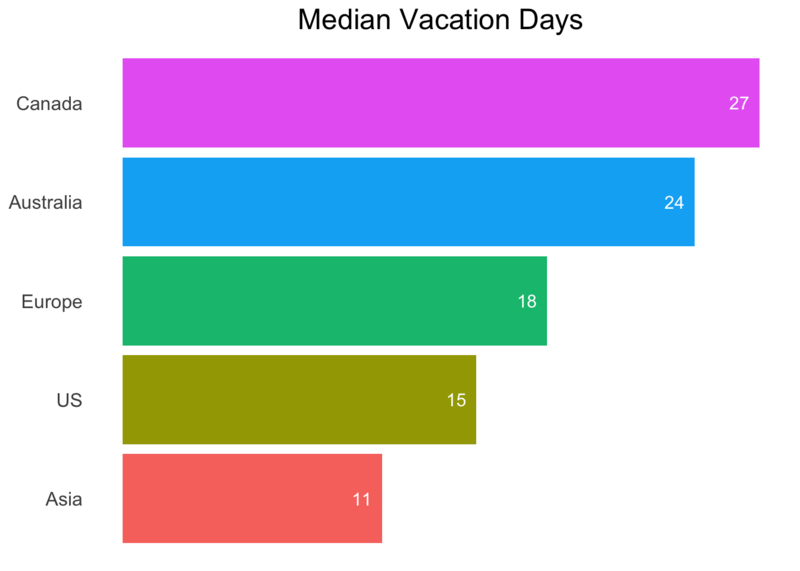 This is a pretty interesting analysis of Buffer employees' vacation time by country and department. Canadians tooks almost twice as much vacation as Americans! This analysis of Costco's business model is fascinating. My friends at Animalz are hiring a remote project manager. This looks like a great gig. Here's a smart article on collecting customer feedback. And here's some advice on learning to work without a compter.